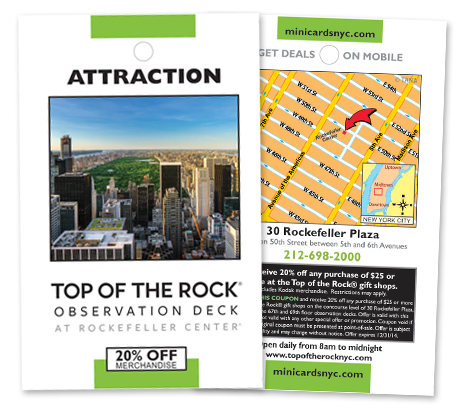 "Top of the Rock Observation Deck has been working with MINICARDS since 2009. 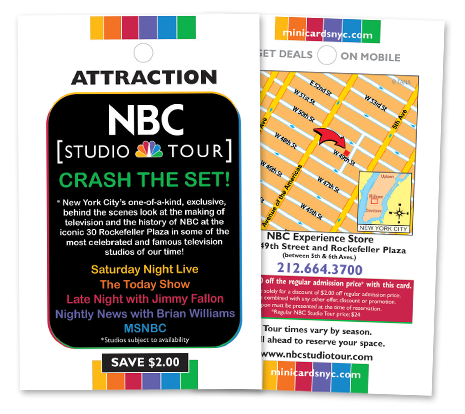 MINICARDS have been a valuable and effective partner in marketing to the tourists in New York City and have been a leader in increasing traffic to our attraction.We track redemptions on all of our promotions, and MINICARDS have proven themselves to be a top performer. 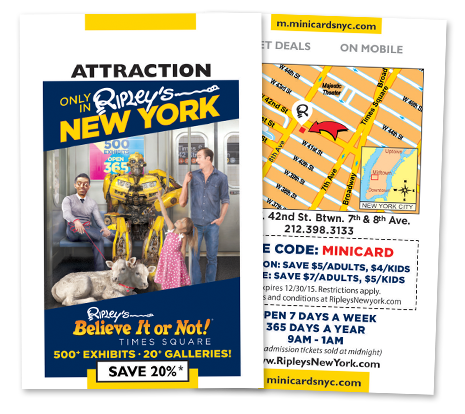 Many thanks to MINICARDS for their contribution to our success!" "We have been pleasantly surprised with how quickly we received a return on our investment with MINICARDS. 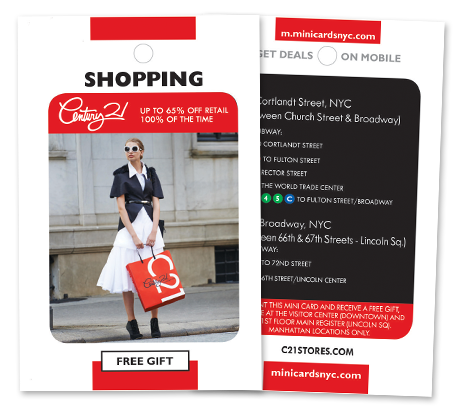 From the customer service to the variety of guests that are redeeming cards, we could not be happier with the MINICARDS program. We look forward to another strong year!" "I write this letter with great pleasure! 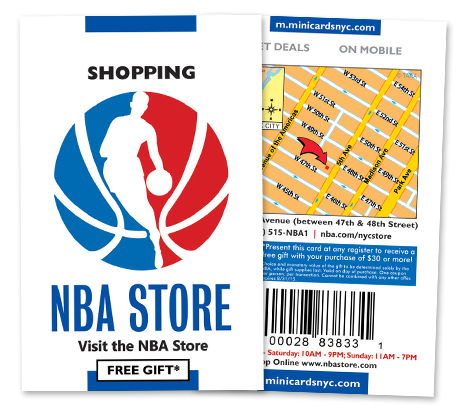 As you know, our company is keen on tracking redemptions, and I am dedivghted with the results produced by MINICARDS . Since the inception of the program we saw immediate results, and they appear to keep growing. 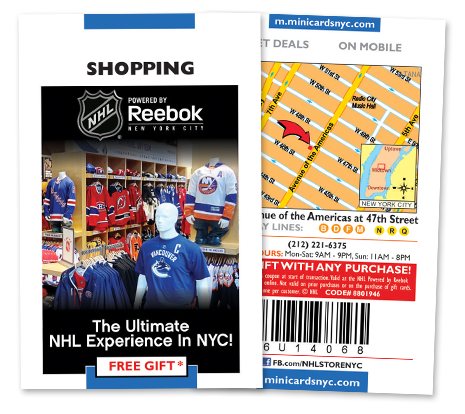 I look forward to renewing into the New Year and continuing developing our relationship with MINICARDS, USA. 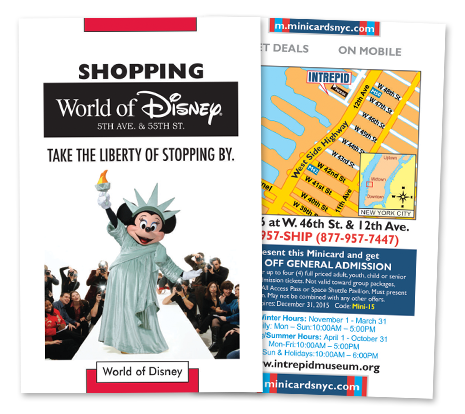 Madame Tussauds New York & Washington D.C.
"After only 3 months with MINICARDS we noticed a very successful redemption rate and are very eager to extend our contract. 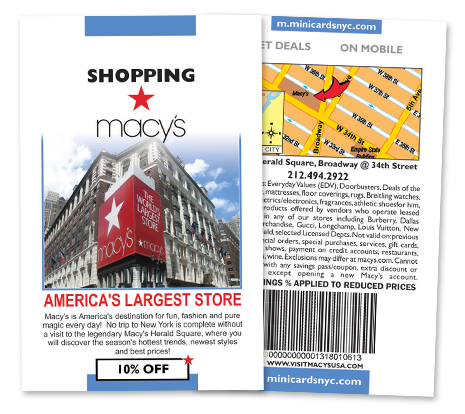 I find the MINICARDS program to be a very useful tool in bringing new customers into our Manhattan location. 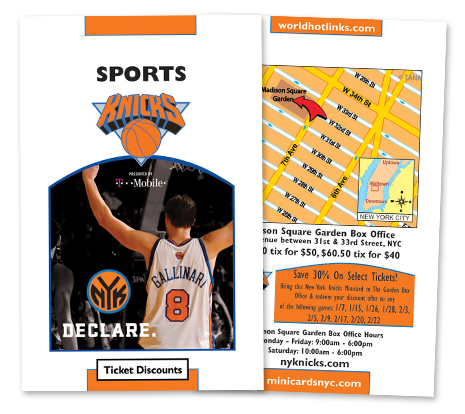 It is great doing business with you and appreciate all your assistance to get this program up and running"
"We have just been going over our redemption numbers and I must say you and your MINICARDS never cease to amaze me. Every single month you are on the top and by a tremendous number. Your service is worth every penny we pay for it." 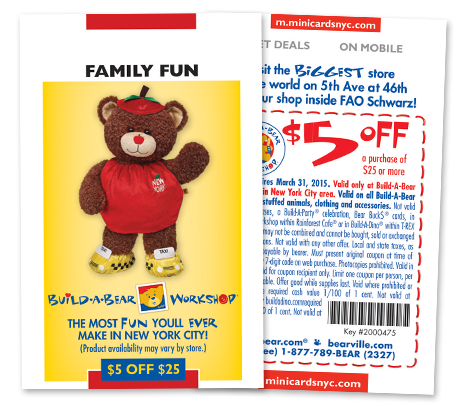 “Build-A-Bear Workshop is pleased to announce that it has extended its partnership with MINICARDS NYC for another consecutive year. 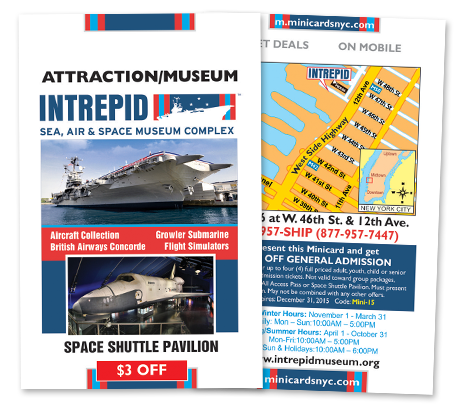 Ripley's Bediveve It or Not! 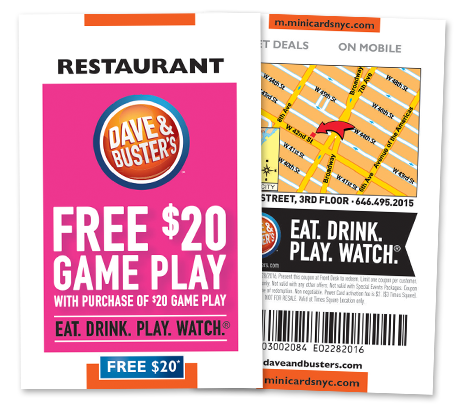 "We have consistently seen our sales increase year over year with Minicards. 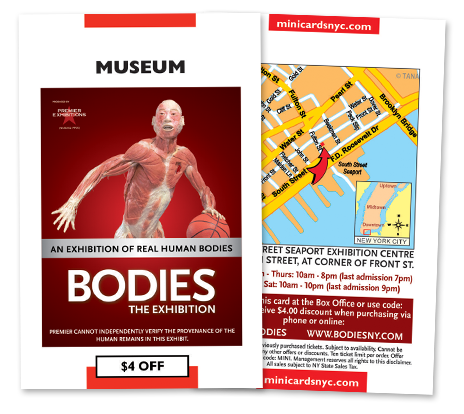 Minicards are a great way to be in front of tourists when they are making their buying decisions and giving them a special discount only helps turn their curiosity into a sale." 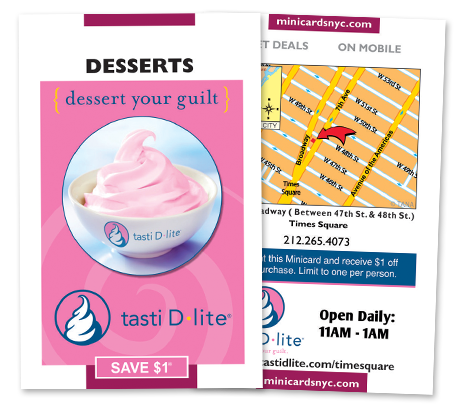 "Tasti D-lite in Times Square has worked with MINICARDS since 2012 and has had a very good response to them. 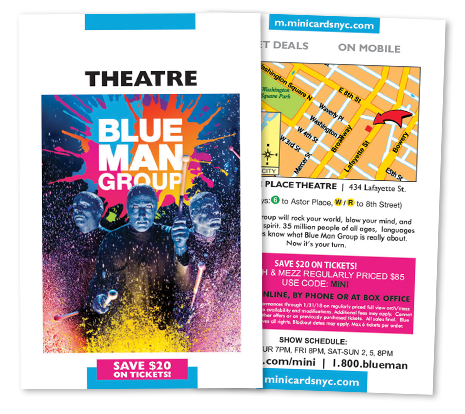 The placement throughout their distribution locations has helped us increase the exposure we need and has brought in sales numbers we never would have had without them. We are continuing our relationship with them and are looking forward to more success!"